Lance Lazzaro will continue working for Tekashi 6ix9ine. Tekashi 6ix9ine continues to see his clout diminish with each passing day behind bars. With no social media outlet for the rapper to promote his brand, the Brooklynite's reach has hit a new low and even when/if he finds his way out of jail, people will be wary to follow him as closely as before. A recent report regarding Tekashi's upcoming trial stated that Lance Lazzaro, the vocal attorney representing the rainbow-haired artist, would need to be removed from his counsel. Lazzaro had previously represented two men involved in the racketeering case: Kifano "Shotti" Jordan and Faheem "Crippy" Walter. Therefore, it was decided that there may have been a conflict of interest. However, after looking over the decision to remove Lazzaro from 6ix9ine's side, the judge has decided to reinstate the attorney as his representative. 69 must be breathing a deep sigh of relief right now because his former attorney is allowed to get back on his case. 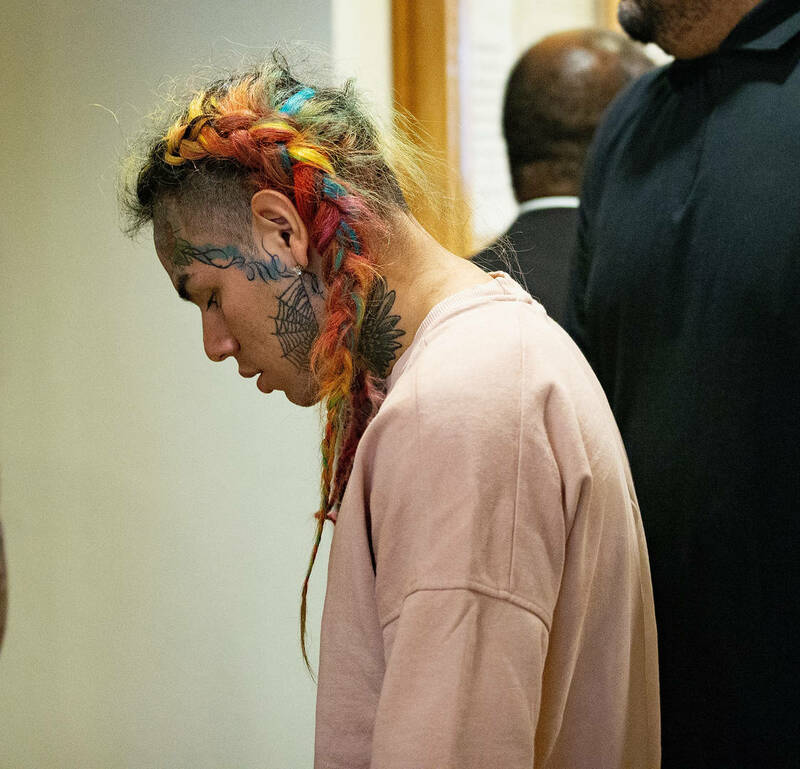 According to The Blast, a judge looked at all of the evidence and determined that there is "no risk to the other co-defendants" if Lazzaro continues working for 6ix9ine. A hearing has been scheduled for March 28, where Tekashi is expected to agree to the terms of Lazzaro's reinstatement. This can be considered a big win for 6ix9ine since Lazzaro knows the most about this case and how to potentially get his client off without spending too much time in prison. Do you think it'll matter in the long run, though?